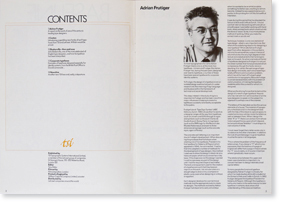 To most typographers the name Adrian Frutiger means one or, at the most, two typefaces – Univers and Frutiger. 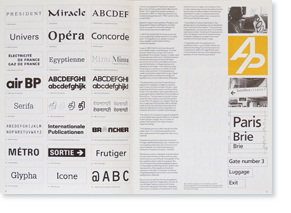 But Adrian Frutiger has, during the past years, designed over 20 typefaces; a number of these have been special typefaces for corporate identity systems. 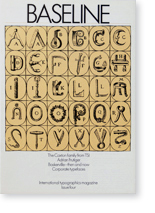 ©1981 Published by TSI Typographic Systems International Ltd. and Letraset Ltd.